The internet is now the lens through which consumers view the world. The things we encounter online are changing our world view. Online discussion around the environmental toll of mass consumerism is increasing. Discriminatory practices are being called out, and whole social ideologies are being dismantled through online debate and realworld action. The integrity of governments and global businesses is being called into question daily. Consumers are flooded by information that’s making them increasingly conscious of ethics and trust. Consumers in 2019 are seeking to find balance in a world that is rapidly tilting out of control. This shift in consumer focus means that brands have to quickly evolve to stay relevant. The internet has enabled the dissemination of widespread lies and fraud. Catfishing, phishing emails and influencer fraud are all problems unique to the age of the internet. The threat of deception looms heavy every time we encounter something new online. It seems not a day goes by where we don’t encounter a new hacking scandal or shocking revelation about how internet companies use our data. Trust is at an all-time low, and this is bad news for brands. Jazzy advertising slogans and clever placement aren’t enough anymore. Consumers want honesty. Transparency is now central to brand loyalty. Every aspect of a brand should be created with a focus on transparency. The internal culture needs to be one of transparency and trust. Secrets will stifle success. Communication between team members should be candid and free. If you want to grow your business in 2019, you have to assemble a team who feels like they are part of the brand. They need to feel valued in order to invest on an emotional level. It’s the same for customers. They need to feel that their relationship with a brand is more than transactional. To gain their loyalty, you have to make customers feel like they are part of your brand and proud of what it stands for. Your brand should share as much information as possible about where your products come from, how they are made and why you choose to sell them. Moreover, you should share insights into your inspirations and behind-the-scenes information. In the spirit of transparency, a more natural and candid business style is now favoured by consumers. Overproduction is out; oversharing is in. Empathy may be a word that makes you think of charity rather than business, but before you get a customer’s money, you’re going to need to be empathetic toward them. Customers no longer have the patience to look for answers. They have countless shopping options and will leave a site in fewer than 15 seconds if they don’t see the information they need. Brands need to know their customer personas well enough to empathise with them and pre-empt their questions. Your marketing efforts need to convey empathy for the issues that matter to your customers, and you should design your sites with empathy for your customers’ shopping preferences and journey. Site design in 2019 needs a strong focus on user experience. Designers must go beyond aesthetics, leveraging user behaviour insights to create shopping journeys that are smoother and more intuitive. Forty percent of all luxury purchases are influenced by a consumer’s digital interactions with a company. Even premium brands that have been slow to embrace digital marketing and e-commerce are now focusing on social media and offering buyers convenience. For example, Louis Vuitton customers can now discover, research and purchase from a brand without ever leaving their social feed. And, although Alexa may currently be a small part of retail (only 2% of Alexa users use v-commerce tools regularly), this is only because customers want to see products. As screens are added to smart speakers and the experience improves, transactions via voice are expected to grow significantly, generating sales worth $40 billion by 2022, against $2 billion in 2018. Brands in 2019 need to optimise their voice strategy to include relevant purchase, payment, delivery and re-order information. That will ensure organic visibility, deliver a strong user experience and drive sales from voice interactions. Pre-social media, it was difficult to gain insight into the lives of people in social groups far removed from your own. Now, in the age of increased transparency, people from various sections of society are sharing their deepest thoughts and feelings online. Awareness can spread quickly, and previously silenced people can find a voice online. In the same vein, issues that once seemed complex or far removed are being explained in hundreds of ways and broadcast globally. Working conditions of the people who sew our clothes, the effects of mass manufacturing upon the environment, representation of female bodies in the media: these are all current issues fuelled by the massive amount of information now available to consumers online. Consumers entered 2018 eager to escape reality, seeking out brands that offered moments of escape from the daily grind. Over the course of the year, that focus shifted. Going into 2019, we are seeing this ‘want to escape reality’ replaced by a desire to address it. Sustainability is one of the biggest issues of 2019, and retail brands like Marks & Spencer and H&M have been focusing on this, demanding transparency from suppliers and running in-store recycling schemes. The spending power of ethically-minded millennial and gen Z customers is increasing, while environmental issues continue to dominate news headlines and public campaign efforts. So, it’s likely the ethical market, and demand for eco-friendly products, will continue to grow. Brands need to look at packaging, production and delivery through the eyes of the environmentally conscious consumer. Then, they need to think about social responsibility. 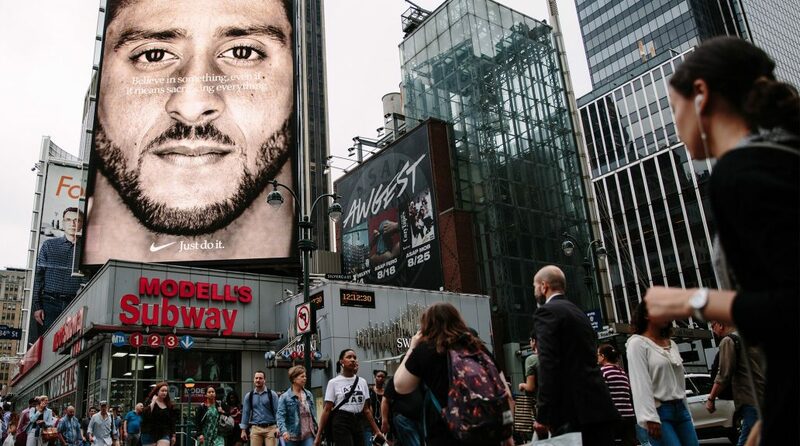 In September 2018, Nike confronted racial injustice by selecting Colin Kaepernick to be the face of their global advertising campaign. December’s usually idealistic Christmas advertisements were then overshadowed by Iceland’s cartoon advertisement addressing deforestation - which was banned by the ASA and then went viral online. Keeping this momentum, 2019 kicked off with Gillette tackling the issue of toxic masculinity in their ‘The best a man can be’ campaign. All three of these campaigns attracted their fair share of criticism. But they also won strong loyalty from otherwise indifferent consumers. Brands that take a clear stance on social issues relevant to them give customers the insight they need to truly feel connected and become brand loyal. If your company is working to address issues of inclusivity, equal pay, fair working conditions or sustainability, tell your customers. In 2019, brands can no longer sit on the fence or hide in the shadows. Customers want to know how the companies they buy from work, and what they stand for. Brands must develop connected consumer journeys. This means understanding all available touchpoints and delivering personalised experiences that are shoppable at any moment.